Anthony is the author of three books of poems, recently The Victor Poems (Shearsman, 2015). His poems have appeared widely on both sides of the Atlantic including in Poetry Review, TLS, Poetry Ireland Review, and Boston Review (as winner of the BR Poetry Prize). He is the founding editor of Periplum Poetry, a small press publishing pamphlets, books, and digital videos of poets in conversation. He is Professor of Poetry at University of Plymouth and Programme Leader of the MA Creative Writing. Steve is a Plymouth-based poet who gained his M.A. in 2007. His first full collection - A Curious Shipwreck (Shearsman Books, 2010), much of which was submitted as part of his M.A. thesis, was shortlisted for the Forward Prize best first collection in 2011. Further collections include Limits of Control (2011, Penned in the Margins) and Maelstrom Origami (Shearsman, 2014). He appeared on BBC Radio 3's The Verb in 2011, was assistant editor of Terrible Work magazine for four issues in the late 90's and writes reviews and publishes poetry for a variety of magazines including The Rialto, Tears in the Fence, Litter and Stride. 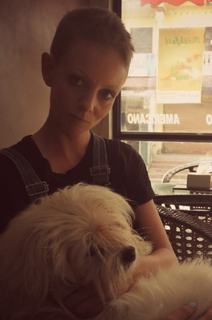 Ellie is a PhD student at Plymouth University where she studies contemporary Nepali women's poetry. She also writes a column for Coldnoon Travel Poetics Journal called "Rumours from the Hati Sar" which contains poetry and fiction set in Nepal. Rachel was born in Boston, USA, and now lives in Plymouth, UK. She received an MA in Creative Writing from Plymouth University it 2011. Her debut poetry collection, Birthright, was published by Eyewear Publishing as part of the Aviator Pamphlet Series in 2016.